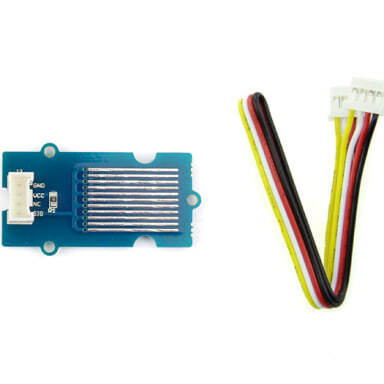 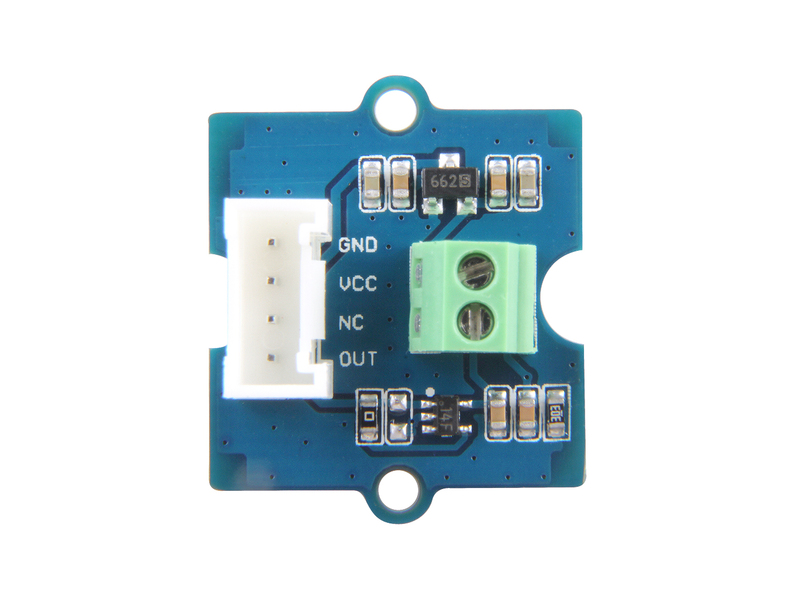 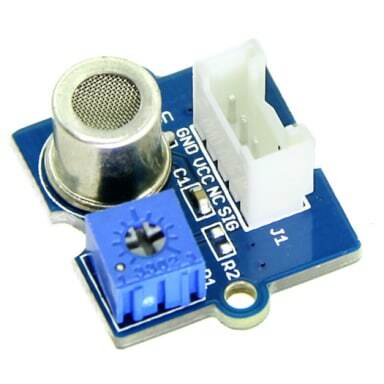 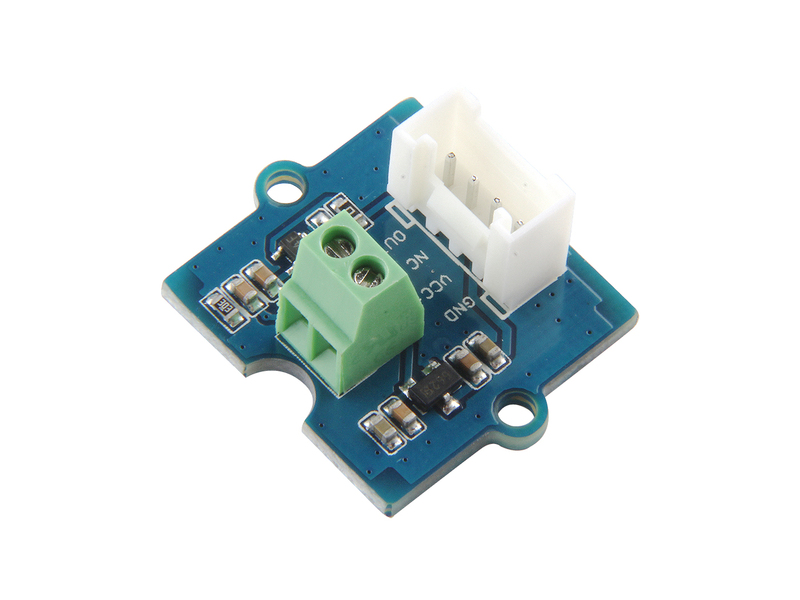 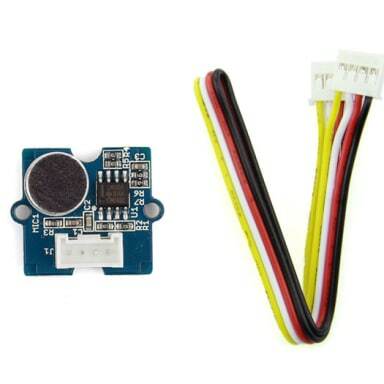 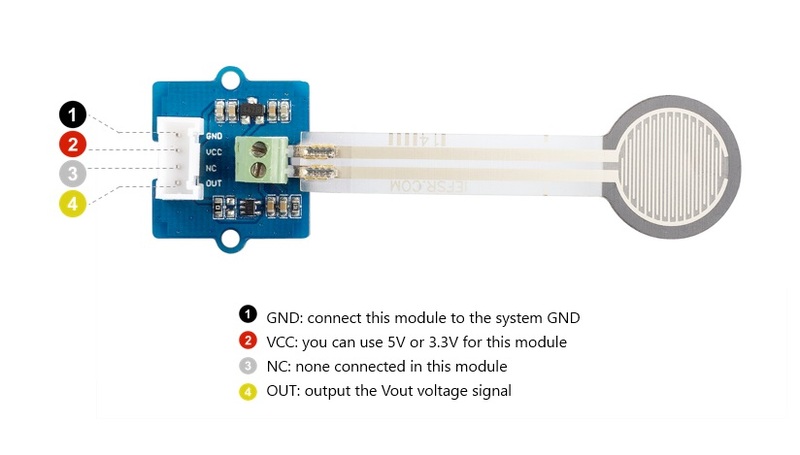 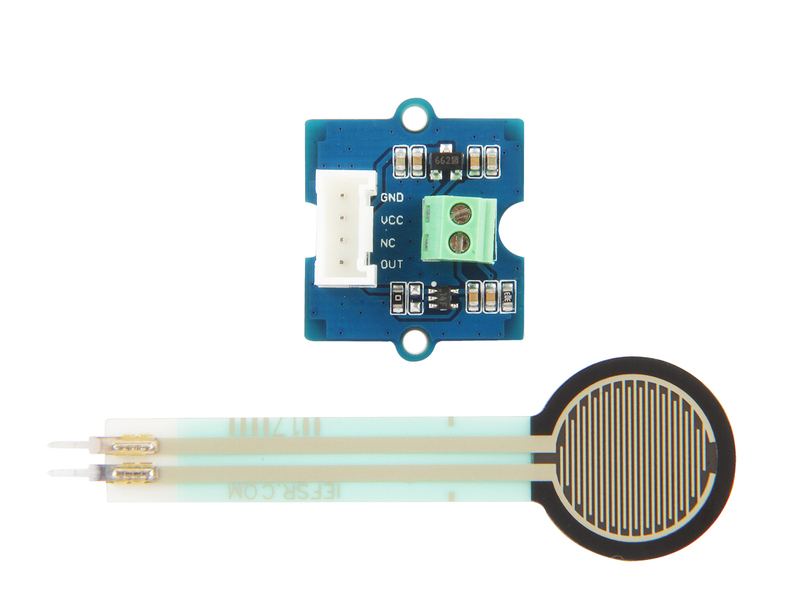 The Grove-Round Force Sensor(FSR402) is a force sensitive module. 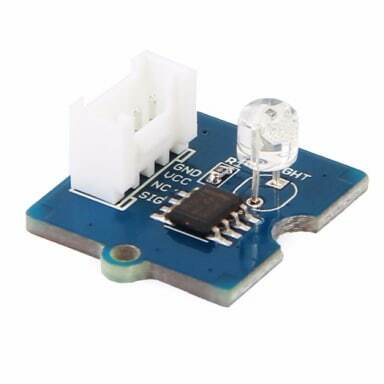 At the end of the sensor there is a round force sensitive resistor, the resistance of which depends on pressure applied to this resistor. 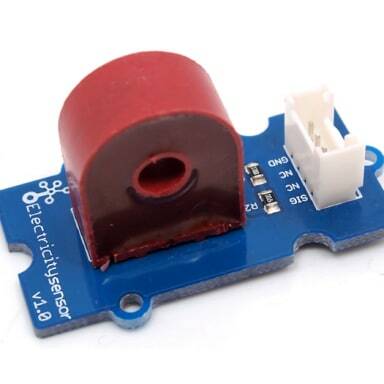 Simply say, the greater the pressure, the smaller the resistance. 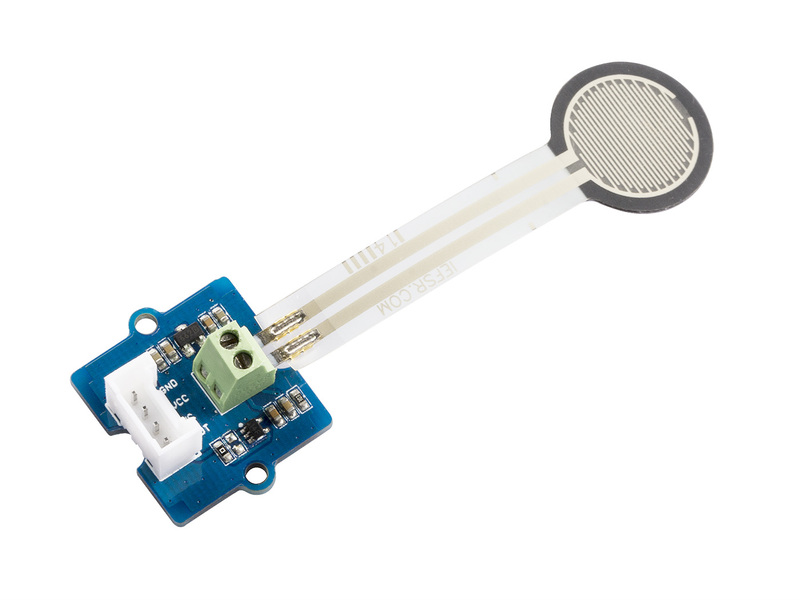 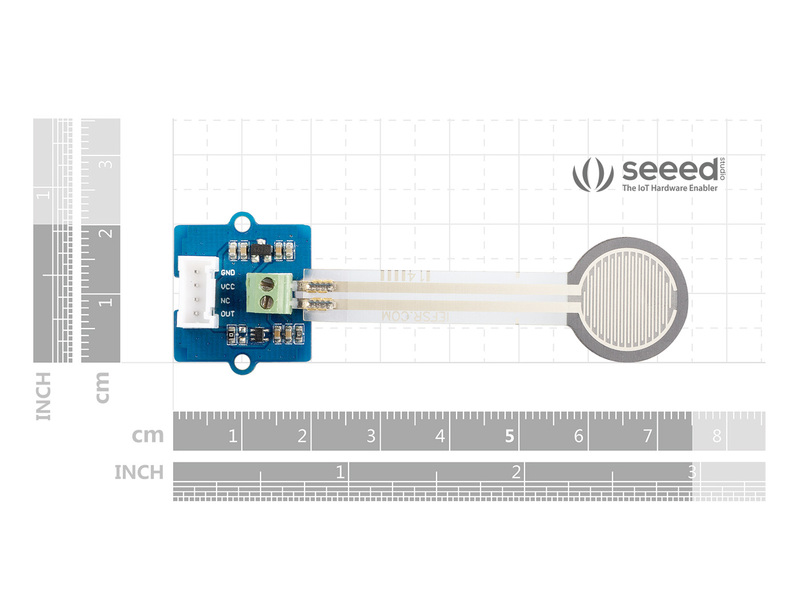 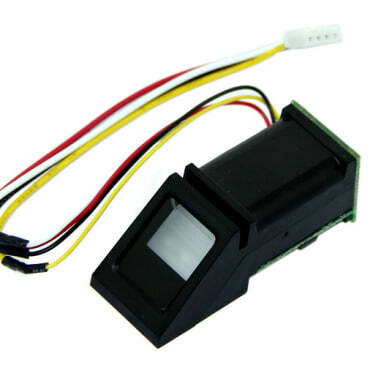 However, the output of this sensor is not strictly linear, so we do not recommend it for accurate measurements.